Can you automate the practice of law? MyCase Blog Home » Can you automate the practice of law? Legal futurists spend their time studying, analyzing, and predicting the future of the legal profession. And, unfortunately, their collective assessment is that the future isn’t bright lawyers unwilling to innovate and embrace technology. Anyone who has followed my writings knows that I tend to agree with this dire prediction. I truly believe that over the next few years, lawyers who embrace and utilize technology effectively–in particular Internet-based and mobile tools–will undoubtedly have an edge over their less tech-savvy colleagues. But can technology actually automate and replace the services provided by some lawyers, or will it instead supplement their practices, allowing them to operate more efficiently and better serve their client’s needs? This is something I’ve pondered often over the years and I found myself revisiting this issue after reading a Fast Company piece about Tim Hwang, a 25-year-old non-lawyer, former research associate at Harvard’s Berkman Center, and founder of a satirical website, Robot Robot & Hwang. One thing that got me intrigued about law was that industry-wide it has the same kind of structure as older industries that have been disrupted by technology: a small class of people that’s based on control of information, protected by regulations. Law hasn’t had its Napster moment yet, though everyone recognizes it’s an incredibly inefficient structure now and the legal profession is in incredible disarray. Every time I read something like this, I’m perplexed. How can the services provided by lawyers be equated with the sale of widgets or the development and sale of an iPhone app? Lawyers “sell” fact-specific analysis, advice, and advocacy, not goods or simple services you can automate. The unique nature of the services provided by lawyers necessarily limits the structure of the platform–ie. the law firm–through which those services are delivered. Perhaps the source of the disconnect is my background as an attorney serving consumer clients. My experience as an attorney has always involved litigation matters, whether criminal defense or civil and commercial litigation. Accordingly, my job has been to provide fact-specific analysis, advice, and advocacy–tasks which are not readily commoditized. Thus, for lawyers with my legal background there is oftentimes a disconnect and predictions that technology replacing their position as a trusted advisor seem overblown and unrealistic. As someone who has never practiced the types of law that futurists like Jordan and Richard Susskind predict will be partially supplanted by technology, I’ve found Mitch Kowalski’s new book, Avoiding Extinction: Reimagining Legal Services for the 21st Century, to be particularly helpful in enhancing my understanding. In it, Mitch envisions a world in the very near future where a typical BigLaw firm discards traditional practices and embraces alternative billing and ownership structures, reduces overhead costs by outsourcing, and utilizes technology and collaboration to efficiently and effectively serve its clients. Legal process outsourcers have been a big game changer. The success of Pangea3 and others have caught the profession by surprise. Never before in history has so much legal work been given to non-law firms. The number of in-house lawyers has grown exponentially over the last 25 years—legal costs are no longer necessary evils and are being managed more than ever before. However, even with that newfound understanding, I still have a difficult time envisioning a future where more efficient processes effectively supplant the human element of lawyering, even for transactional lawyers. Sure, technology can automate and even replace certain aspects of lawyering, but at the end of the day, the legal advice and advocacy of a trusted advisor is a decidedly human factor–and, in my estimation, it’s something that simply cannot be replaced. I agree with your conclusion, that not every aspect of legal work can be automated; however technology and alternative resources will greatly the _number_ of lawyers it takes to deliver the same service – that’s the key point. Jim–you raise a great point. Technology does reduce processes and the time spent on more routine legal tasks. 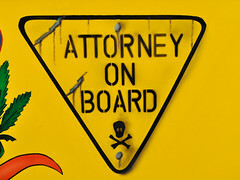 This, in turn, will reduce the number of lawyers–which some might say isn’t necessarily a bad thing!